The University of Cagliari will host the event Creating a Culture of Cyber Security at Work. 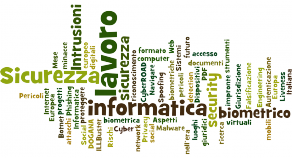 It is part of ECSM - European Cyber Security Month, and it will take place in the Faculty of Engineering and Architecture, Aula Magna, Piazza d'Armi, Cagliari, 5.00 PM - 7.00 PM. ECSM is an European Union advocacy campaign that takes place every year in October. ECSM aims to promote cyber security among citizens, to change their perception of cyber-threats and provide up to date security information, through education and sharing good practices. Prof. Giorgio Giacinto, “Information Security at work: risks and countermeasures”.